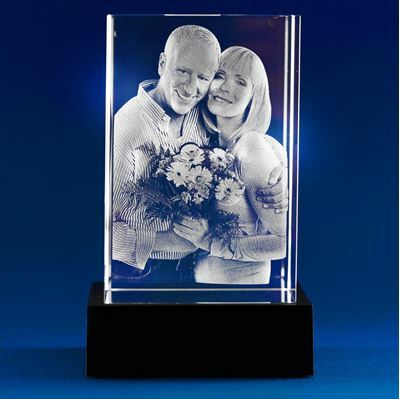 Three-dimensional photo in glass is a completely unique gift idea, perfect for any occasion. 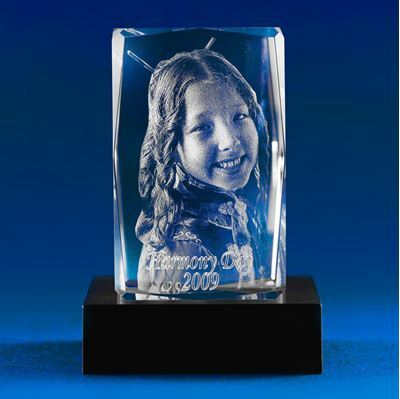 Transformed into 3D and etched in crystal, your image will never fade, making it perfect for a timeless gift. 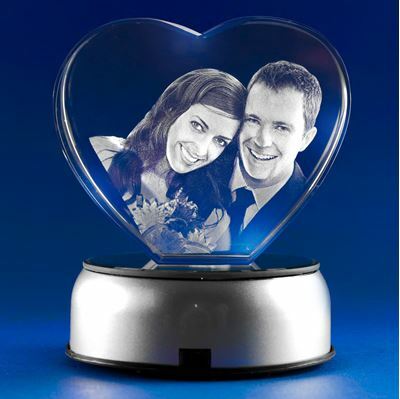 Order now a stunning 3D Photo Crystal gift with your favourite picture. The “WOW” effect is guaranteed! 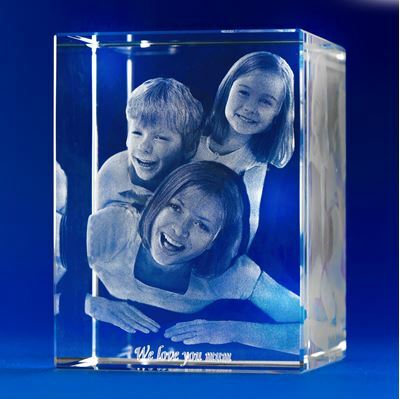 To create a 3D Photo in glass takes two main steps. Using computer software your image is formed into a three-dimensional design. Whatever the image is, from inanimate cars and buildings to people and animals, professional graphic designers can transform it. 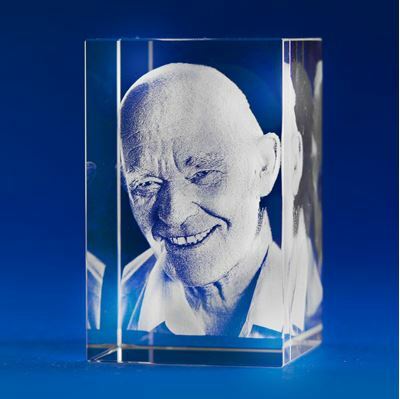 Then, using a subsurface marking green-laser machine, the image is etched within the glass. It does so by forming thousands of micro-cracks and all the dots create a three-dimensional image. 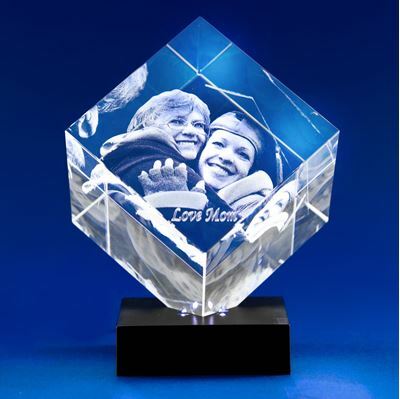 Learn more and watch video about how we transform your photos from 2D to 3D photo crystals.